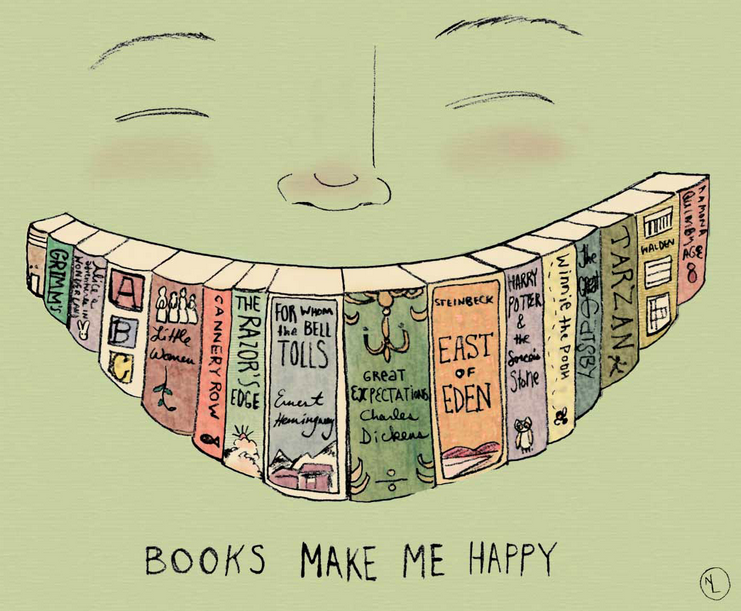 Share your bookish mood with your friends and followers and show how do you feel about books you're reading! 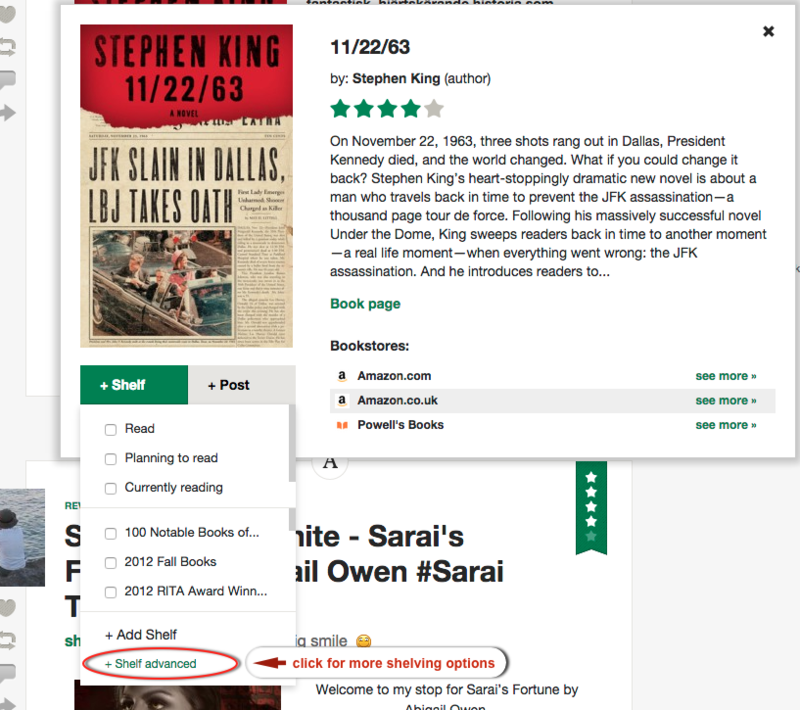 Now when you shelve books, click Finished! 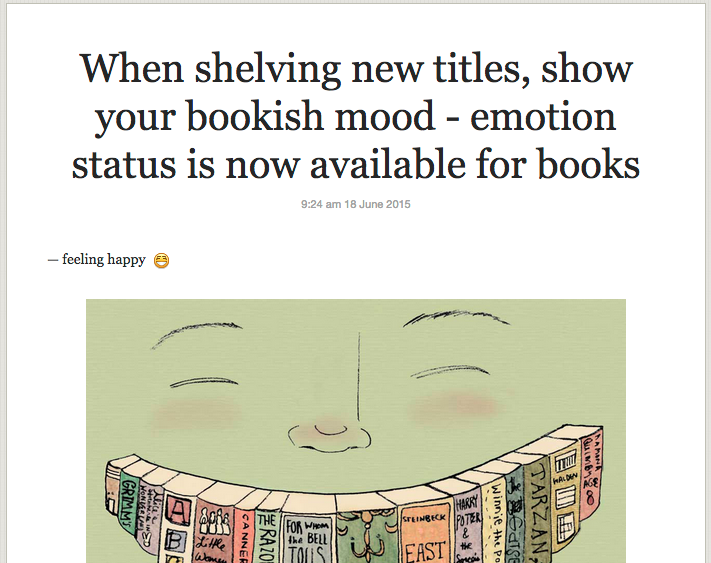 or set any other reading status you can supplement the shelving information with the emotion status. Answer the question How do you feel about this book? 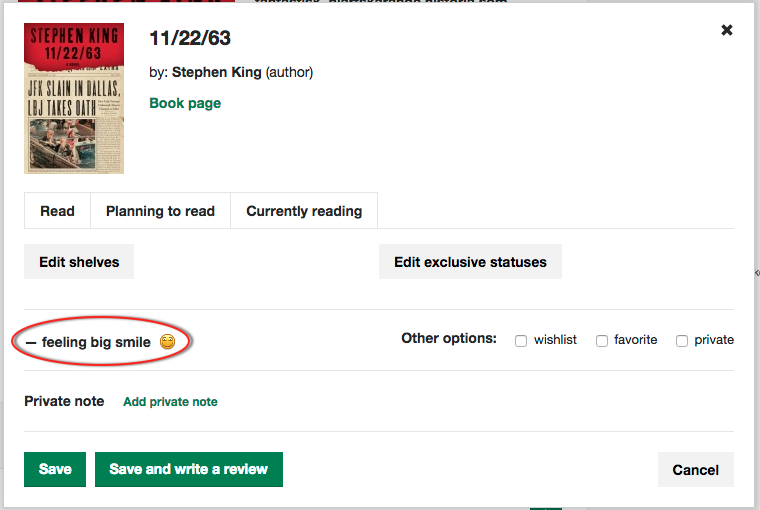 Why to use emoticons when shelving and reviewing? 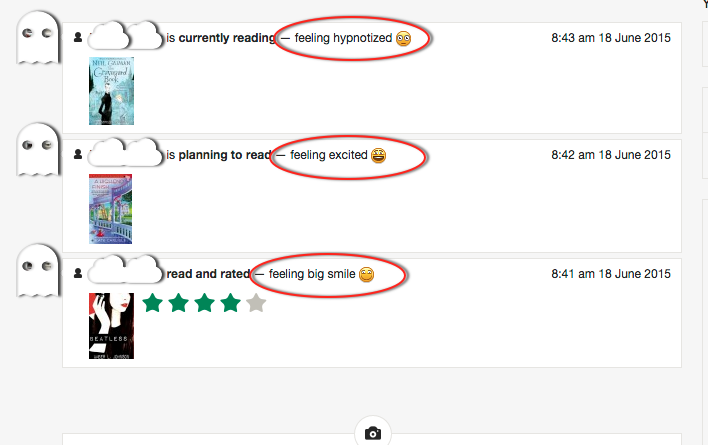 Emotion statuses and emoticons won't replace full length reviews, they can, however, complement the text with an enjoyable mood addition. Some scientific surveys revealed that our brain reacts likewise when we see an emoji and a human face -- this means we pay the similar degree of attention to the smiley face as we do to real face. And attention is what we wish for when we write or share the book news, right? What's more, emojis tend to enhance our memory skills and have a highly positive influence on getting the message across -- they make a happy news more enjoyable and negative more approachable. Emotion statuses are now available in Draft views. 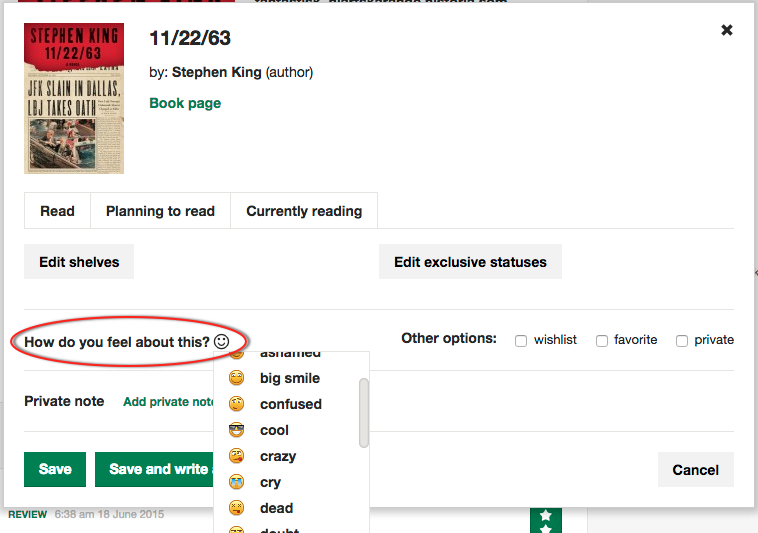 This means that when you write a text, add an emotion status and click Save as Draft, the emotion status will be attached to your text and visible in Draft view (to see your Drafts, click Blog from the upper menu and Drafts in the right column). 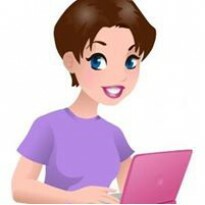 Emotion statuses are visible on your public blog pages. 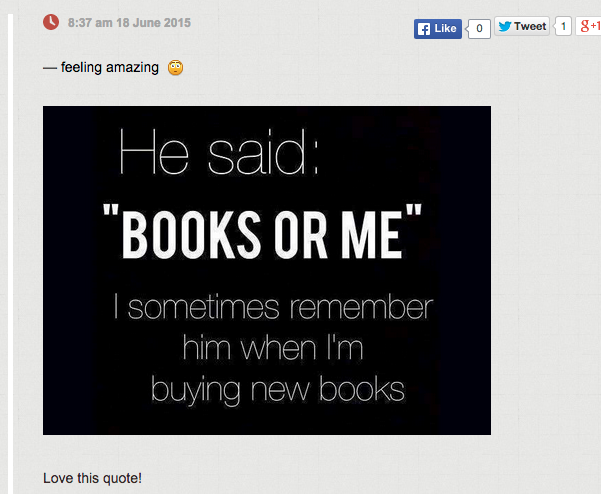 This refers to reviews, posts and 3 BookLikes design templates only (Gentle Spirit, Notebook, Smart Casual). If you have a different blog theme, a customized blog look or if you have edited your blog's HTML code, please have in mind that this update will not be visible on your public blog page. To make the emojis visible on blog pages, please follow the instructions on Theme Docs (in the footnote) and add the changes to the code or contact your designer.